What has the world's Moët drinking capital and a world leader in global indices of private jet ownership to do with left politics? 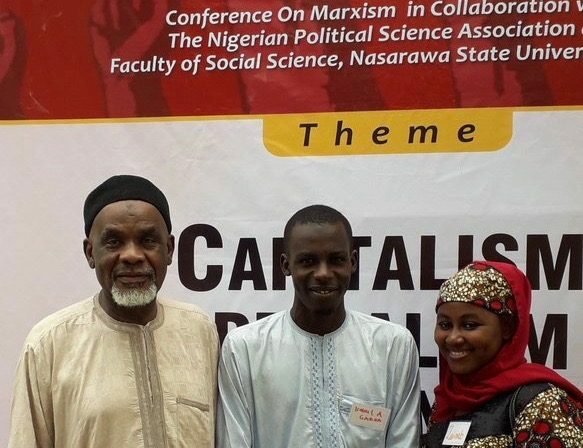 Dr. Ibrahim Muazzam, Ismail Auwal and Zainab Mutkthar delegates at the “Capitalism, Imperialism, & Revolutions in the 21st Century” conference held recently at Nasarawa State University. Though amusing, such a view is inaccurate, as I got to see for myself while attending the conference on “Capitalism, Imperialism, & Revolutions in the 21st Century” held recently at Nasarawa State University (NSU). The two-day meeting was put together by the Nigerian Committee for the Advancement of Working Class Solidarity—constituted of former radical activists and now the leading lights of Nigeria’s NGO sector—in collaboration with the Nigerian Political Science Association and the Social Sciences Faculty at NSU. As a student of political ideology in contemporary Africa (and a Nigerian), it was a privilege to attend the first gathering of this sort. The deeper paradox, however, was that the conference was inaugurated after 17 years of democracy: though the left was the engine of anti-colonial and pro-democracy struggle, it has suffered decline in the Fourth Republic. The weight of this history gave the gathering an air that was both momentous and marginal. 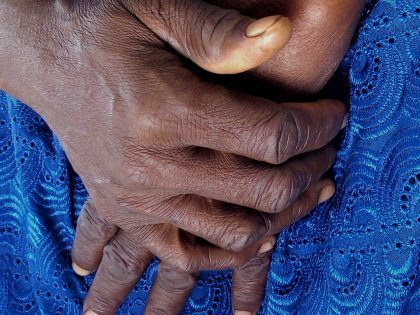 Held in the literal margins of Nigeria’s capital, the gathering felt modest, barely receiving coverage in the local press. Yet this is precisely what gave the conference a welcoming and inclusive tone. 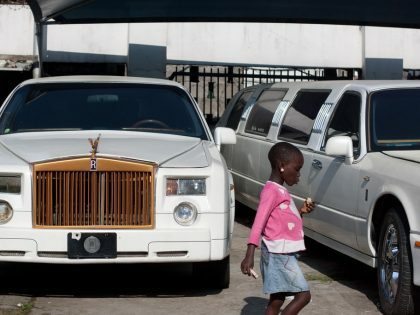 It was also a thoroughly Nigerian affair in ways that sometimes sat uncomfortably with its radical aims. Classically, the conference began by “observing protocols,” the Nigerian euphemism for paying respects to the highest authorities in the vicinity—in this case the vice chancellor of the university. That a presidential portrait of Muhammadu Buhari remained affixed to the wall behind the stage looking down at the audience throughout proceedings was similarly not without irony. In classic (though pleasantly) Nigerian form, we were served meat-pie and kola-nut at tea breaks, jollof rice and pounded yam at lunch, and the conference had its own custom made souvenirs—even its own Ankara uniform. Less characteristic for the context was that several presentations on radical feminism, which profoundly questioned gendered norms and the family, were welcomed by the audience, triggering neither convulsions from male delegates nor extensive quotations of scriptural justifications for patriarchy. Delegates to the conference included senior academics, veteran labor activists, feminist intellectuals and advocates, as well as delegations of undergraduates, many of whom were encountering Marxist theories for the first time. Some of the veterans included Dr. Amina Salihu, Professor Dung Pam Sha, Professor Jibrin Ibrahim, Comrades Ibrahim Muazzam, Issa Aremu, Ene Obi and many other former student activists. A notable absence was that of the counter-culture and artistic left, which were central to revolutionary gatherings in earlier periods of Nigerian history. A similar “All Nigerian Socialist Conference” held in Ahmadu Bello University in 1977 was attended by non-other than Fela Kuti himself, along with the full contingent of his band and dancers, who according to mathematician and left-wing journalist Edwin Madunagu “insisted on sitting on the floor!” The day may yet come when Seun Kuti opens up a Nigerian Socialist Conference, but that was not to be in Keffi. Another missed opportunity was the absence of “informal” working class organizations including market women’s unions, street cleaners’ associations and artisans and traders’ organizations, many of whom play a critical role in electoral politics (as we saw in the recent Lagos State APC Governorship primaries in which a sitting governor was defeated in part because he annoyed the Association of Waste Managers). 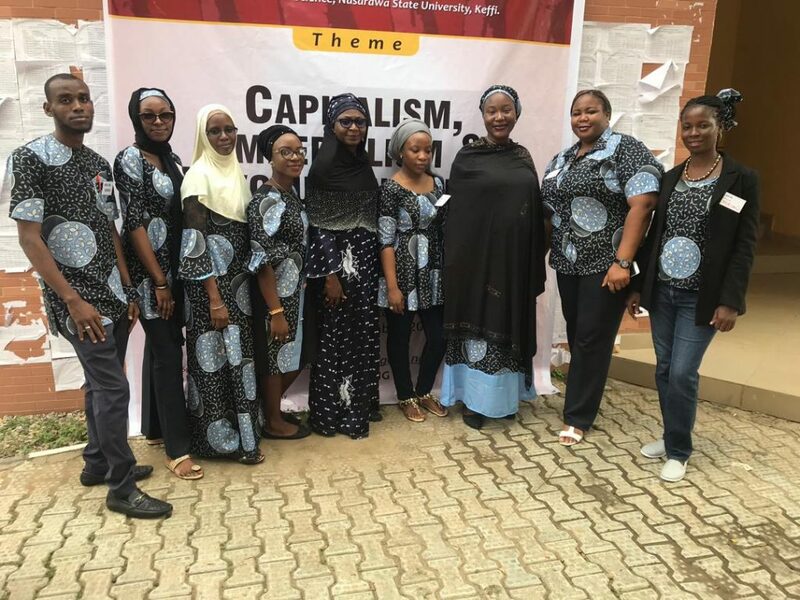 Presentations covered the anti-colonial Aba Women’s War of 1929; the collapse of the Soviet Union; and why the teaching of Marxist theories has declined in Nigerian universities (yes, this was once a thing!). At one point during a Q&A session, an earnest engineering student suggested that the left should consider changing its name to the “Right” for him a synonym for “correct” and the more marketable direction overall. “How you brand yourself is very important,” he added, as many audience members looked on in a mix of incredulity and anguish. 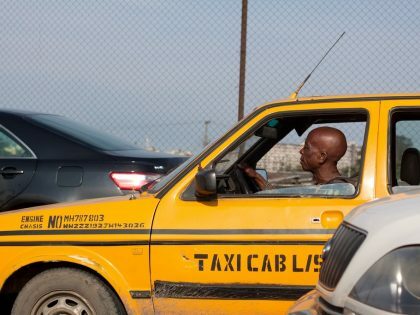 There was also at least one shouting-match sparked by a presentation on whether the Nigerian left should pursue “entryism” by seeking to infiltrate mainstream political parties to move them in a radical direction. Our deliberations inevitably had certain blind-spots. 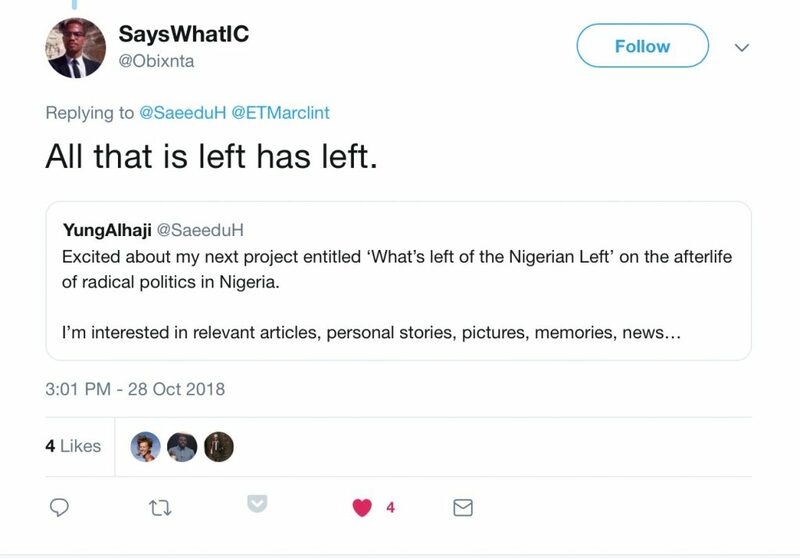 There was little discussion, for instance, about what the Nigerian left might learn from the resurgence of socialism in America and Britain following the delegitimization of neoliberal and “third-way” politics in much of the West. The conversation could also have been enriched had some presentations offered a left perspective on pressing economic issues, including diversification from oil, social security and the weaknesses of Nigerian Federalism. However, despite this, the conference accomplished some important feats, the most significant was the fact that it actually happened. Promisingly, the organizers also pledged to set up a steering committee to develop Marxists ideas and politics in Nigeria in a number of ways. These included commitments to host regular conferences, improve upon the teaching of Marxism within the trade union movement, publish classic Marxist scholarship locally, and support comrades who are running for public offices on credible progressive platforms. It was also encouraging to observe the students and the youth. In sparking a wide-ranging and inter-generational conversation about alternative political futures, the gathering succeeded in escaping blind partisanship and defeatist cynicism, both of which have come to set the boundaries of “intellectual” debate in contemporary Nigerian politics.